Kartell revisits the classic 18th Century Windsor ‘Comb Back’ chair, with this contemporary take by Spanish designer Patricia Urquiola. Just arrived in Australia, the Comback features a backrest consisting of seven “teeth” spreading out towards the lumbar region where they meet a reinforced hexagonal rim before extending down to join the seat. 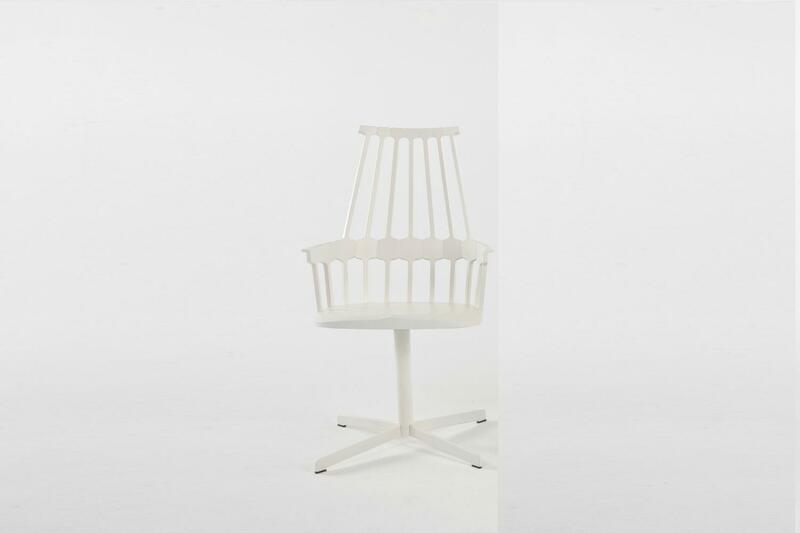 Perfectly proportioned, the Comback is a single mould chair made from batch-dyed thermoplastic technopolymer.